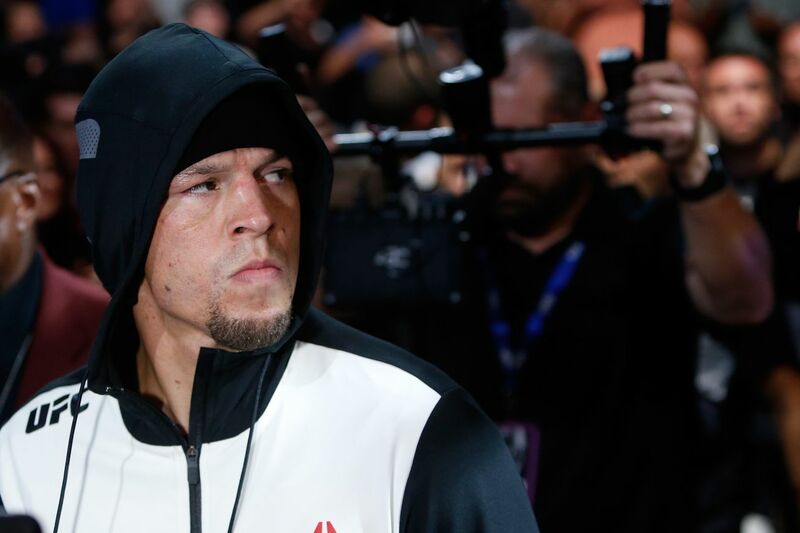 It appears that UFC 230 is down a fight, as Nate Diaz will not compete on the Madison Square Garden card following Dustin Poirier’s injury-related exit. The vengeful MMA gods have struck again. Dustin Poirier vs. Nate Diaz, a sure contender for action fight of the year, has fallen through, Poirier having to withdraw due to injury. The offers to replace Poirier at UFC 230 (which now, bizarrely, features a heavyweight title fight between Daniel Cormier and Derrick Lewis as the main event) have already begun rolling in, but Dana White confirmed that Diaz is officially off the card. Now that Diaz is not fighting in November, there is one fight that would no doubt interest him more than anyone: Conor McGregor, fresh off his loss to Khabib Nurmagomedov at UFC 229, is first on many people’s lists to step up and face Diaz for a third time. The first question is, would McGregor do it? His coach indicated he has been fixated on getting a rematch with Khabib Nurmagomedov, which my informal poll yesterday indicated was considered a good idea by 1 in 5 people. It’s not a good idea. McGregor looked off against Nurmagomedov in a way that didn’t seem completely explained by Khabib’s wrestling control for two rounds. His coach John Kavanagh expressed this sentiment, saying that perhaps they trained too defensively in preparation for Nurmagomedov. A rematch against a known opponent would reveal definitively whether McGregor is the same fighter who departed MMA in 2016- although if the answer is not the one he likes, McGregor could see his career at an interesting juncture. For better or worse, the Diaz brothers always show up. That was true of Poirier as well up until today. Injuries are a part of the game and happen to basically every fighter…except the Diaz brothers, who have never withdrawn from a bout due to injury in their professional careers. Why is this the reality we live in? If Donald Trump Jr. fights with the same form he deadlifts with, he would be in trouble. It’s too late to do this before the year ends but make GSP vs Woodley happen for the last 170 pound fight ever, GOAT status. End on a high note then add 165 and 175 to spread out these over populated weight divisions. Derrick Lewis says Daniel Cormier disrespected Popeyes with his funny music video. I hate this fight because it’s going to be all DC unless Lewis knocks him out, which seems like a pointless matchup. Fun matchups are where both fighters can potentially do their thing. This fight will either be all one way or the other. The odds reflect that. Opening odds on #UFC230‘s new main event, via Bovada. Derrick Lewis was at the doctor’s office when he found out about the bout. Just spoke to Derrick Lewis. He had no idea he was in consideration to headline opposite Daniel Cormier at UFC 230. He said he’d do it if they paid him “right”, but was at the doctor’s office when we called. Daniel Cormier and Stipe Miocic are going back and forth on social media. UFC 229 Pay-Per-View numbers are shaping up to be far and away the best in the company’s history. It still amazes me there are ways to twist the human body into pretzels that I hadn’t seen before. I don’t know why I found this funny, but I did. I’m mad at this promo for Derrick Lewis underwear. Tony Ferguson is the right kind of crazy, not this kind… we think. 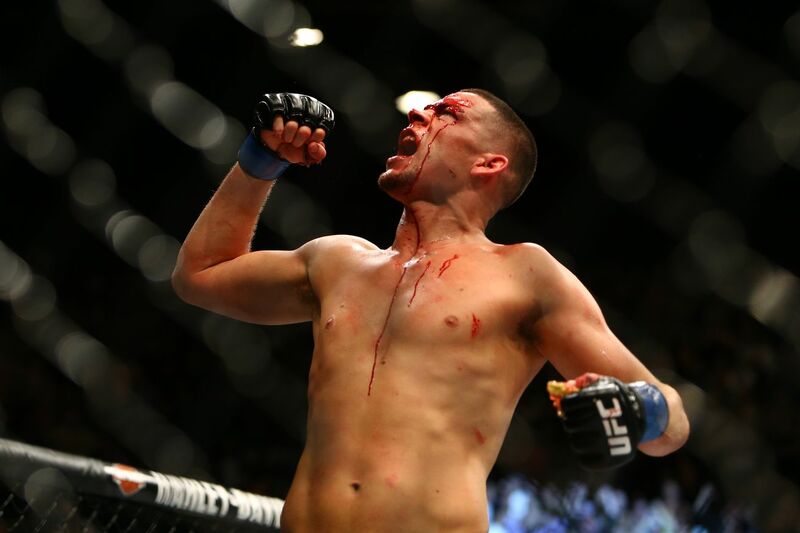 Nate Diaz claimed tonight that he is headlining UFC 230, and fighting for a title in a new weight class- the 165-lb. “superfighter devision”. Dana White was quick to deny reports, according to ESPN’s Brett Okamoto. Apparently the UFC boss is against having fun. Dustin Poirier had already been calling for the bout, and fully supported Diaz’ news. A 165-lb. weight class is one of the few additional weight classes that makes sense; welterweight and lightweight are two of the UFC’s deepest divisions. As it is right in the center of the bell curve for the weight of the average male, that weight range will never lack for men’s MMA talent. Fighters like Kevin Lee have previously called for such a weight class. It might be rushed, but the timing would be convenient on a number of levels. The winner would naturally have an opportunity to call out the winner of McGregor-Nurmagomedov — if that ends up being McGregor, he would have the unprecedented opportunity to face a fighter he’s previously beaten for a third title. And surely it can’t be worse than ANOTHER interim title. I mean… come on. At the very least, just make Poirier-Diaz a five-round non-title main event. Market it as the lineal violent-weight title fight. Fighters have lined up supporting the idea. If 165 is real count me in. Why does Donald Cerrone always do this to himself? When your single-leg takedown becomes a matter of life and death. 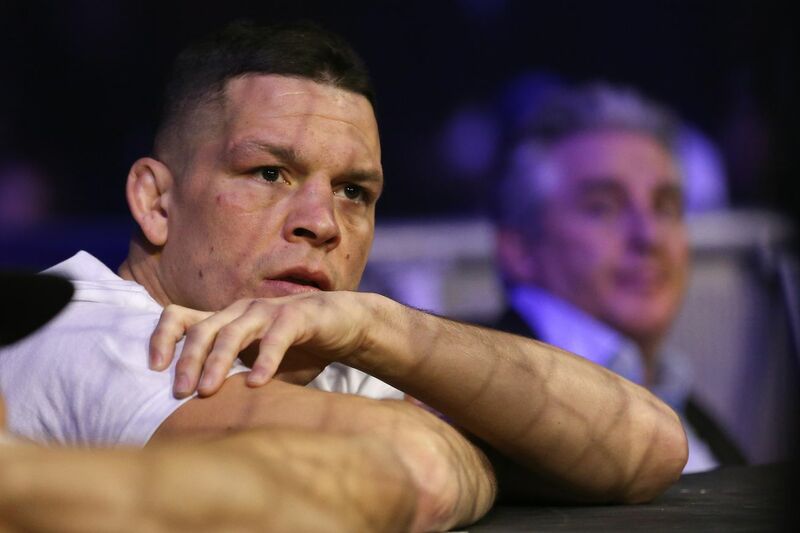 It didn’t take long for Nate Diaz to respond to Bruce Buffer after the longtime UFC ring announcer ripped the fighter for his gripes about being underpromoted.